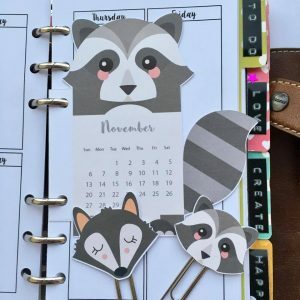 Today I’m sharing with you a new adorable element that I love having in my planner: a monthly mini calendar divider. 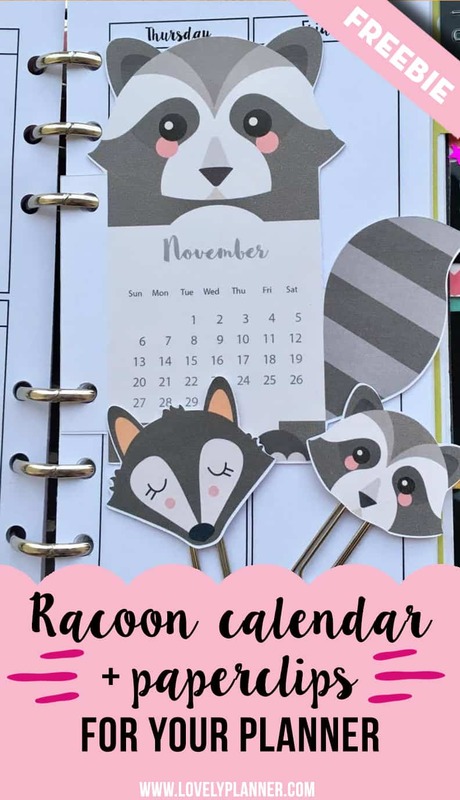 Actually I love it so much that I’ve decided I will make one for every month from now on. Sometimes just changing a few details makes all the difference, and I believe you don’t need to spend a big amount of money nor time to get good results! 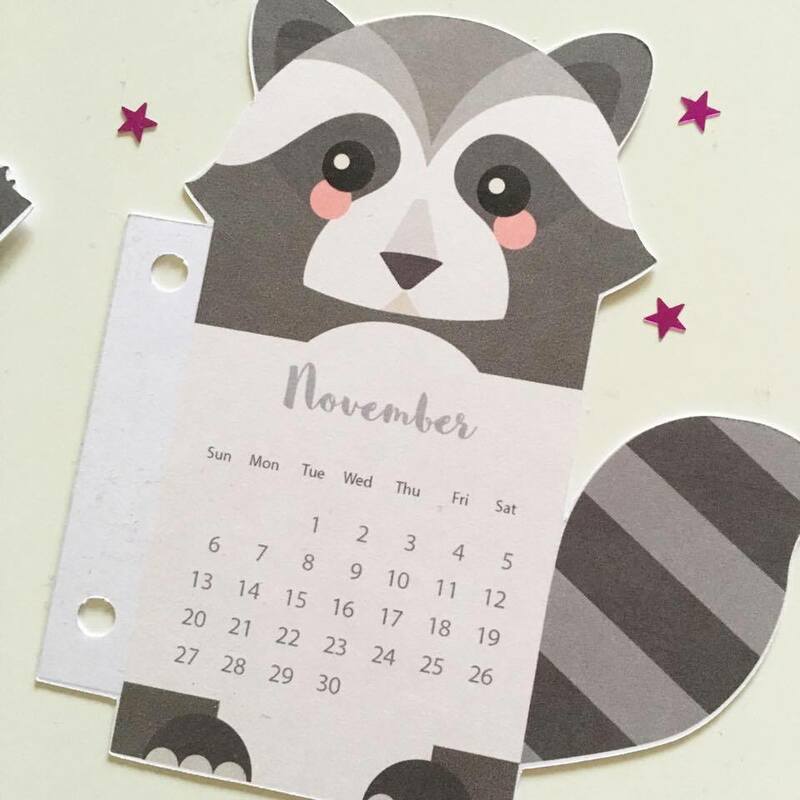 For this coming month of november 2016 my calendar divider takes the shape of a lovely little racoon. 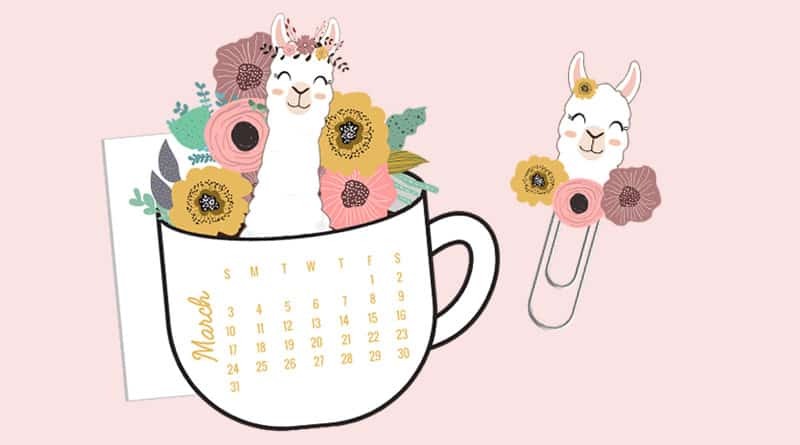 Of course I could just as well have created a simple more formal calendar divider, but by now you’ve probably noticed that my style is more kawaii than formal and that I like my planner accessories to look everything but serious. 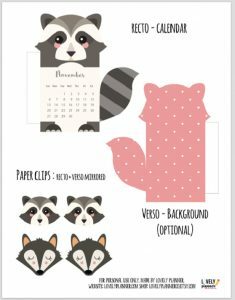 So, I plan on using a different animal (or other cute thing) shape every month, according to the season, etc. 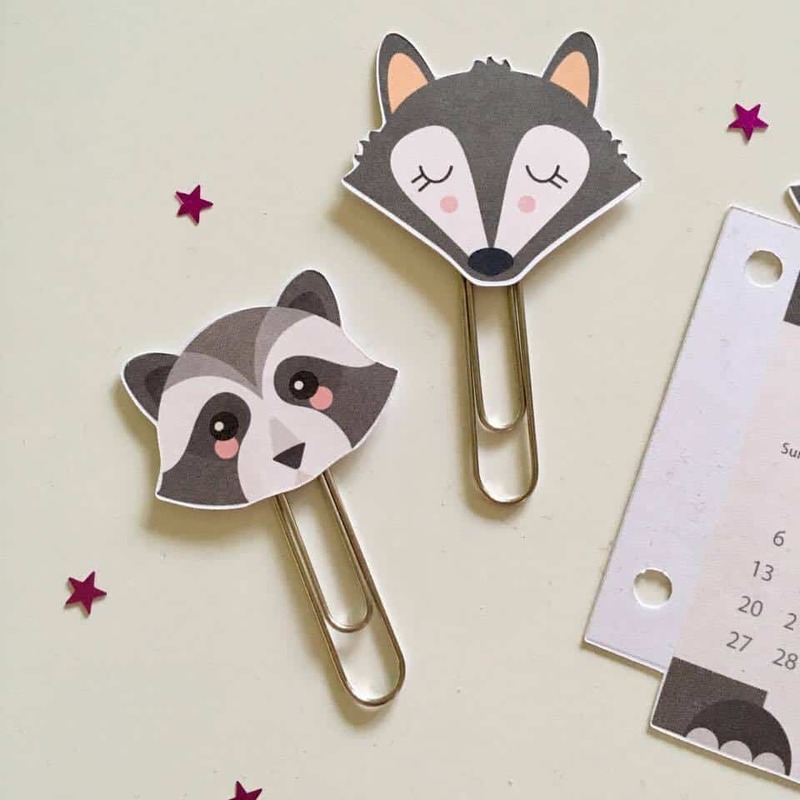 On top of being cute, this calendar divider is also functional. 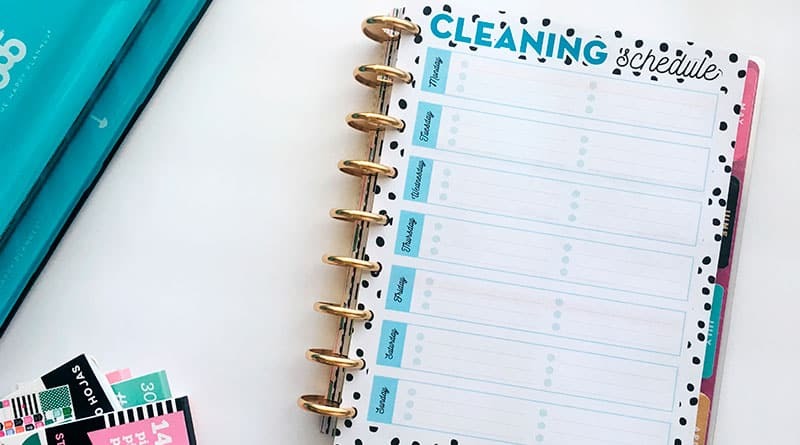 It quickly gives you a whole month view, can help you find your page and is even more helpful to have around if you use an undated planner. Nobody likes getting dates mixed up. 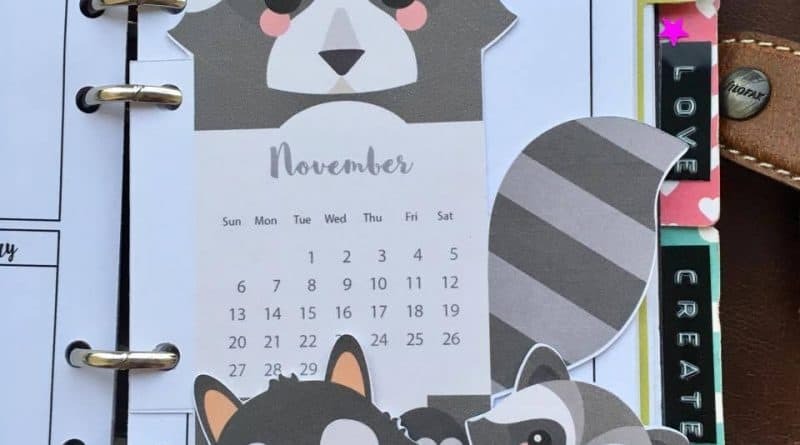 I first noticed this calendar divider idea on one of @brunella_bi instagram post and now I’m hooked! How can I download this file? I’ve been signed up for your weekly emails, and when I try to sign up again, I get an error message. Is there any way to download without signing up my e-mail address again? If you’re already signed up, you don’t need to sign up again. 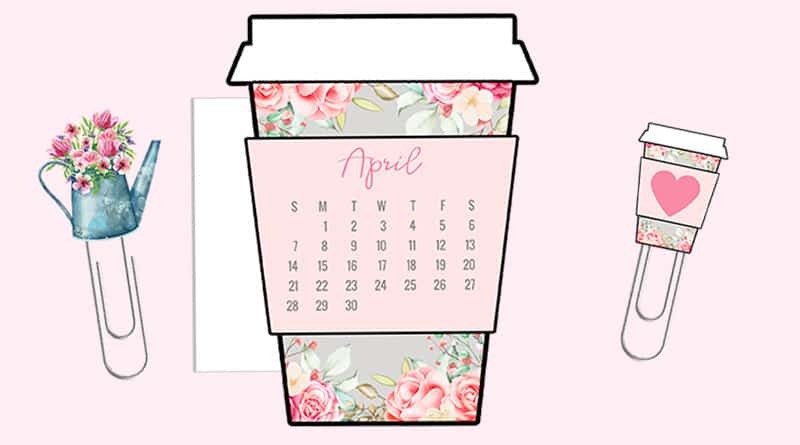 The monthly calendar will be sent every month via email, so if you’re in the subscribers list, you’ll receive this email, just make sure to check your email 🙂 I sent this file in my last email (sent friday 28th oct). 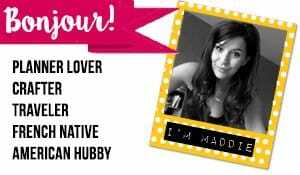 It seems like you missed it so I’m going to send it to you again via email to make sure you get it 🙂 Have a nice day! I used glue gun to glue laminated paper to paper clips, it peeled off when cold LOL so fail! What glue do you use?